To improve kidney function, you need to nourish your body correctly. Your kidneys are there to remove waste from your blood and excess water from your blood, sending it down into the ureter where it comes out as urine. However, your kidneys do several important tasks besides filtering waste. Your kidneys are not simply filters; if they were, valuable nutrients such as potassium would be filtered out and sent out of your body when you urinate. 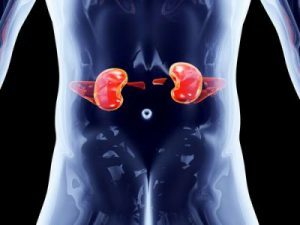 Your kidneys actually balance the chemicals and water in your blood, returning potassium to it through a series of chemical reactions. What Does Proper Kidney Function Mean? Your kidneys filter out wastes, return necessary chemicals like potassium to your blood, balance your body’s fluids, and supply certain hormones which impact other organs – among other things. Experts feel that when your urine is light yellow or colorless, your kidneys are functioning properly. Your kidneys also produce a form of vitamin D that supports healthy bone growth. Examples of diseases that affect kidney function are typically high blood pressure and diabetes, but even if you don’t have either of those conditions, you need to maintain proper kidney function. Believe it or not, spending time in the sun helps kidney function. This is because one of the jobs your kidneys do is produce active vitamin D. Exposure to sunlight causes your skin to produce vitamin D, lifting some of the work from your kidneys. Since you’re going outside anyway, here is something to do: exercise. Bicycle, jog, or walk. Exercise is an excellent contributor to improving kidney function, for numerous reasons. It helps relieve stress, which includes stress on your kidneys. It reduces blood pressure; high blood pressure is the second most common cause of declining kidney function. Also, exercise lowers fluid levels in your body by giving fluids an alternative outlet: perspiration. Water is important to kidney function. This doesn’t mean you should simply pour glass after glass of water into your body. A large amount of water in a short period of time puts stress on your kidneys. So while it’s important to drink plenty of water, it is equally important to drink it slowly. When you pour yourself a glass, drink it a mouthful at a time and spread it over half an hour or an hour. Asparagus is particularly valuable as a kidney cleanser. It soothes the urinary system at the same time acts as a diuretic, helping to clear liquid from your system. If you have high blood pressure or show signs of diabetes, it’s wise to have your doctor check the condition of your kidneys. Kidney function can be determined through two tests, one of blood and the other of urine. If your kidney function is fine, this is still no reason to be complacent. Follow the steps above and you can help keep them healthy. Or see a nutritionist for additional information on maintaining not just your kidneys but every organ in your body.